Two developments in the past few weeks suggest that America’s China policy is on a cusp. The more publicly discussed event involves the Arleigh Burke-class destroyer USS Dewey, which conducted a freedom of navigation operation near Mischief Reef in the Spratlys island group. This is the first freedom of navigation action conducted by the Trump administration. It is the first true freedom of navigation conducted since at least 2012. By contrast, the Obama administration had undertaken a handful of “innocent passage” activities in the South China Sea, which failed to demonstrate the critical issues at stake. The actions carried out in the previous administration were intended to argue that the U.S. did not need permission from China to enter the waters around its artificial islands—while ignoring the bigger question of whether China’s artificial islands exerted any sovereign claim to water at all. The contrast is telling. With the Obama administration actions, there was an implicit endorsement that China’s artificial islands were, in fact, islands, because “innocent passage” involves rapid transit through the territorial waters of another nation. Moreover, in an “innocent passage” operation, the transiting ship cannot conduct any kind of military activity, in deference to the idea that the waters being transited are not international in nature. The Obama administration further muddied the waters by choosing features whose sovereignty was in dispute—and therefore could claim that it was not singling out Chinese-claimed features. Even after the Permanent Court of Arbitration ruled that the various features in the South China Sea were not, in fact, islands and therefore could not lay claim to a 12-nautical mile territorial sea, the Obama administration nonetheless refused to reinforce the point by conducting a genuine freedom of navigation operation. 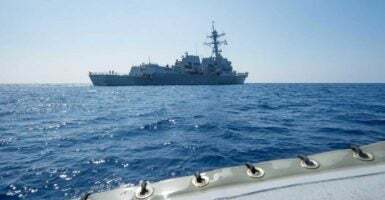 By contrast, the USS Dewey not only transited within 12 nautical miles of Mischief Reef, but more importantly, conducted a “man overboard” drill. Such an action would contravene an “innocent passage” exercise, but is perfectly within the scope of a “freedom of navigation” operation. Indeed, it underscores the message that Mischief Reef is not an island, and therefore does not merit a claim to exerting territorial waters. For the first time since at least 2012, the United States is signaling Beijing that its efforts to dominate the South China Sea will not be meekly accepted, but will be challenged. In the same period, the family of Chinese dissident lawyer Xie Yang was successfully smuggled out of a Thai prison, where they were being held for extradition to China. Xie is one of several lawyers and human rights activists who have been arrested as Beijing has cracked down on dissent. The decisive American action stands in contrast to the fumbling by American embassy officials in the case of Chen Guancheng. When the blind human rights lawyer sought refuge in the American embassy in May 2012, American officials were diffident about his status. 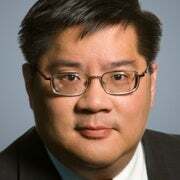 Chen himself indicated in contemporary interviews that he felt pressured to leave the embassy, as American officials were unable to offer guarantees of his wife’s safety. It remains unclear what the Trump administration’s overall strategy is for Asia. North Korea continues to push development of longer range missiles able to reach the United States. The People’s Republic of China, despite promises by President Xi Jinping to President Donald Trump to pressure Pyongyang, has demonstrated limited impact on North Korea; Chinese statistics even suggest that trade between China and North Korea has increased. While the administration has suggested bilateral trade deals in the region in place of U.S. membership in the Trans-Pacific Partnership, whether there are any takers and what exactly its new trade strategy is remains unclear. But for one Chinese dissident’s family, the United States has demonstrated that its commitment to basic principles can take concrete form. And in the middle of the South China Sea, the U.S. Navy appears to be back in the business of defending freedom of the seas. The auguries seem to be improving.